Offering you a complete choice of products which include hot deep galvanized job work, hot dip galvanizing job work, hot dip galvanizing service and solar power structure hot dip galvanizing service. 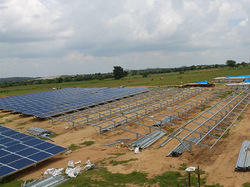 We are providing best quality Galvanizing Services near Wankaner Boundary. We assure you for the best quality always. We are also using best quality zinc & not compromizing in our Quality standards. Focusing on the quality of the products, we are engaged in offering Galvanizing Services. The offered product is stringently examined under the supervision of our educated professionals against the exquisite parameters of quality to ensure hassle free range to our clients. In order to this, offered products are highly demanded in the market for its sturdy design and industry proven finish. Our client can avail these products from us at market leading prices. 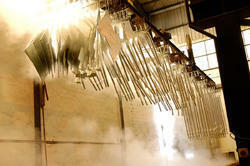 We are among the pioneers in the industry, engaged in offering Hot Dip Galvanizing Services to our treasured customers. These services are carried out in a standardized manner using high-tech equipment and are rendered within the given time frame. This process renders excellent corrosion resistance to the subjected surface. These services are highly reliable and are made available at competitive rates. Assisted by rich industrial experience and modern technical knowledge, we are able to offer Solar Power Structures Galvanizing Service. Apart from this, these services are highly appreciated for their work quality and timely execution amongst our clients. These services are widely used for their reliability, flexibility & client-centric approach.